We are surrounded by lists. Catalogs and calendars are lists. The weather forecast and the TV Guide are lists. And, of course, there's our daily "to do" list. As writers, we can also add to our list of lists: article outlines, our book's table of contents and index, conference schedules, and everybody's favorite, the New York Times Bestseller List. Lists are everywhere. They're a natural way to brainstorm, organize and present information. A list's basic structure helps to order, illustrate, highlight, and clarify. When you add to that a list's ability to make writing and reading easier, it's understandable why so many people write list-based content. Okay, you've picked the number 7. Now pick a topic. Put them both together, brainstorm and create a list, and -- presto! -- you have your content's outline, whether you're writing a blog post, an article, or a book. A simple list of the top 7 movies and how much money each one made. Great for a blog post. A paragraph on each book--what it's about, why it's hot, and who's reading it. Great for an article. An in-depth examination of the habits (and the principles behind them) that lead to personal and professional success. Stephen R. Covey's bestselling book. A list is not only a fabulous brainstorming and organizational tool, it's one of the easiest content creation methods around. Once you've brainstormed your list, all you have to do to quickly write a blog post or article (a book takes a little longer) is follow this simple formula: Introduction + List + Conclusion = Great Content! 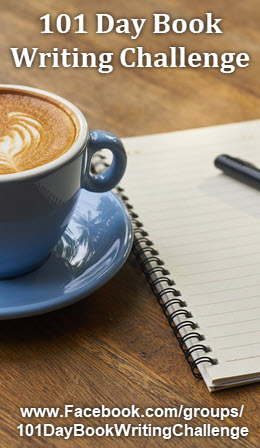 Here are some tips to get you writing your own list-based content... easier/faster/better! Briefly talk about the problem, and how these 7 Secrets hold the key to (or are) the solution. Describe why these 7 Steps are important to follow in order to achieve success. Simply introduce the topic that these 7 Tips address. Depending on what you're writing, each item on your list can be a sentence or two, a paragraph, a page, or a chapter. The list can be organized randomly, step-by-step (from first to last), or as a countdown (from least important to most important). Each item's content covers the most important points on its subject, directly and succinctly (which is why it's easy to write). The conclusion can be a sentence or two, or a paragraph or two (some leave it off altogether). Restate the value and benefits of following these secrets/steps/tips. Offer hints to help the reader apply the information given. Pull it all together, and lead the reader to what s/he needs to learn or do next (your next article or blog post). Short list-based articles convey a lot of information quickly, making them as popular with readers as they are with writers. You can use them to connect with your audience on a website, blog, tip sheet, newsletter or ezine. You can also use them to explore new ideas, to see if a particular subject sparks your interest or your audience's. If it does, you can expand your list by adding more items to it, or going more deeply into each individual topic. Longer list-based content can be used to create an ebook or opt-in offer, can be broken down into individual pieces and turned into an e-course, can be read and recorded then burned onto a CD, and, of course, can become a book. The possibilities are virtually endless. Now, pick a number. Any number. Okay, you've picked the number 7, again! Now brainstorm 7 list-based topics you can write about. Whichever one has the most energy for you, take it, create a list, and start writing. Now that you've discovered how easy it is to create list-based content, here are 5 quick tips that will skyrocket the traffic generating, audience pleasing power of your lists. How to. Tips, tools, techniques. Top 10. Step-by-step. Glossaries. Resources. Hook to current events. Be controversial. Show the "other side" of popular/unpopular ideas. Seek out the unusual. Take a buzz-worthy, inspiring or especially useful list, add photos and music, turn it into a video and post it on YouTube. When one of them starts attracting attention and getting some buzz going, turn it into a free report and circulate it widely, or turn it into an ebook and sell it. List the top 10 subject areas that you write or blog about, or create infoproducts for, and brainstorm 10 potential list topics for each. Let loose and have some fun with this. The more fun you have, the better ideas you'll come up with. Creating and posting daily tips (written or audio--on your blog, to your list, or at a social networking site) only takes a few minutes a day, and in a month you'll have 30 tips. In another three weeks you'll have 50 tips. And in a little over 3 months you'll have 101 tips. You can then turn these tips into an ebook, a 30 day e-course, a year-long weekly audio course, or a CD. 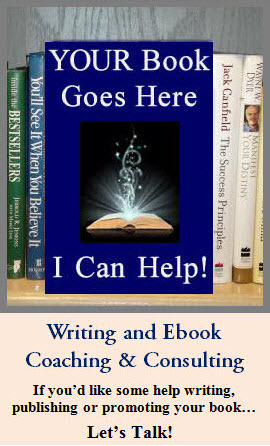 You can also take these quick tips, add a couple of paragraphs of description and/or instruction to each, and you've written a book that you can self-publish or submit to a publisher.